SaltFree Softener = No Wastage. Appliances are more efficient and last longer too. No Chemicals washed into the environment. Suitable for Drinking, Cooking, Bathing and Showering. Great for soothing skin conditions like Eczema. 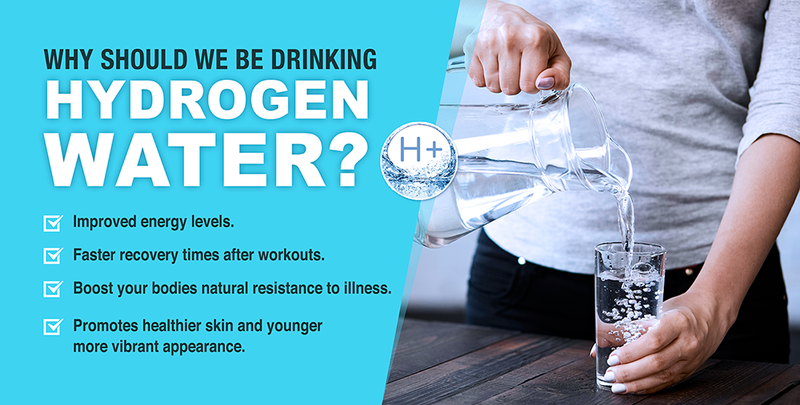 Hydrogenated Water is Better for You. 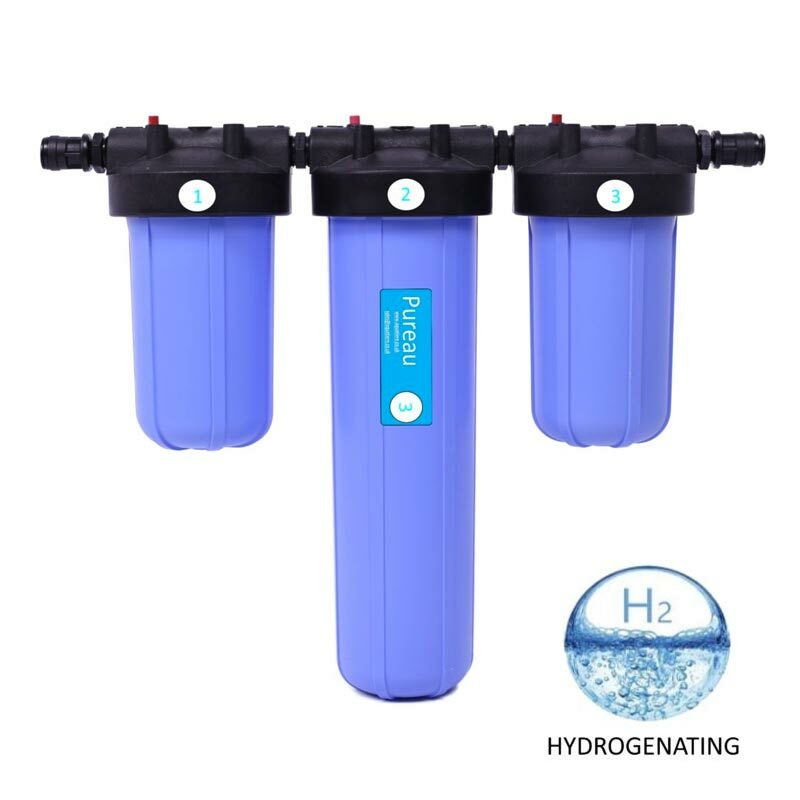 Suitable for Most Water Systems – gravity fed, pressurised water systems, combination boilers, private water supplies, council mains supplies. Combats the Effects of Hard water. Actively Prevents the Formation of Scale in Your Home. Cartridge Replacement email reminders can be sent to you (Option in required). Deep Inlet/outlet size 3/4″ BSP female(22mm push fit connectors supplied). Triple Mounting bracket add 100mm to height and an additional 60mm clearance below each vessel for cartridge changing. Inlet/outlet size 1″ 0R 3/4″(with adaptor) BSP female (22mm push fit connectors are supplied). Removes Chemicals. Prevents Scale. Saltless Softening. 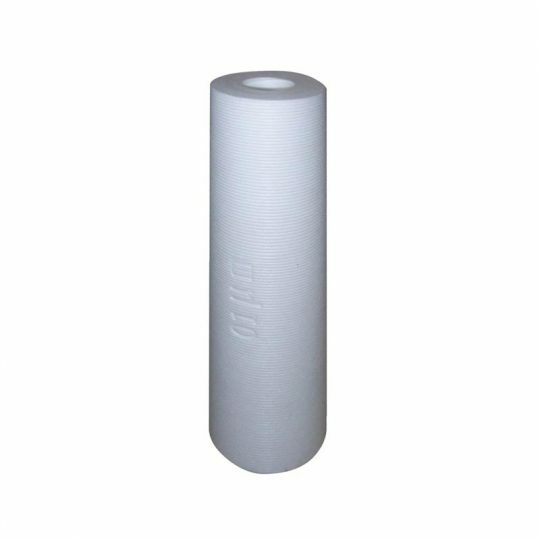 Our unique blend of media reduces water hardness and stops internal scale forming in pipework and equipment. The Pureau system uses ion exchange resins to remove up to 90% of hardness forming minerals for noticeably softer and purer water. Our water feels softer, smells and tastes better. 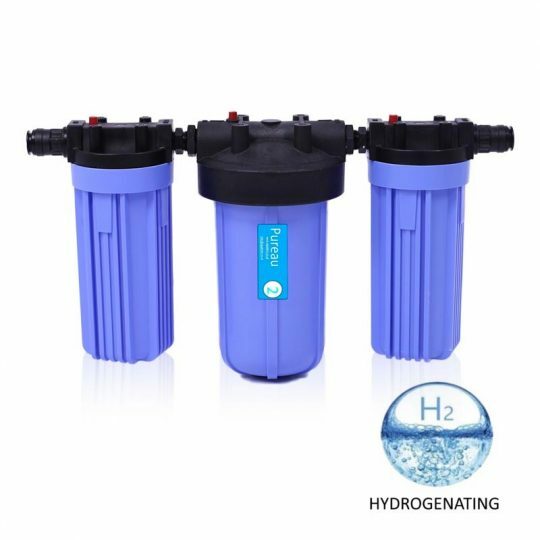 Invigorates and improves the condition of your skin and hair, while providing you with pure anti-oxidant alkaline water. 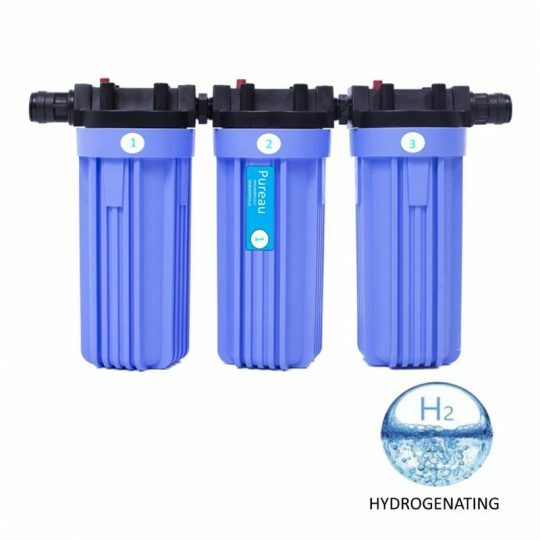 Our unique ORP Ceramic produces Molecular hydrogen, an antioxidant that combats the effects of free radicals, promotes hydration and boosts the body’s immune system and cells. No salt is required to achieve softer water and no water is wasted in the process. 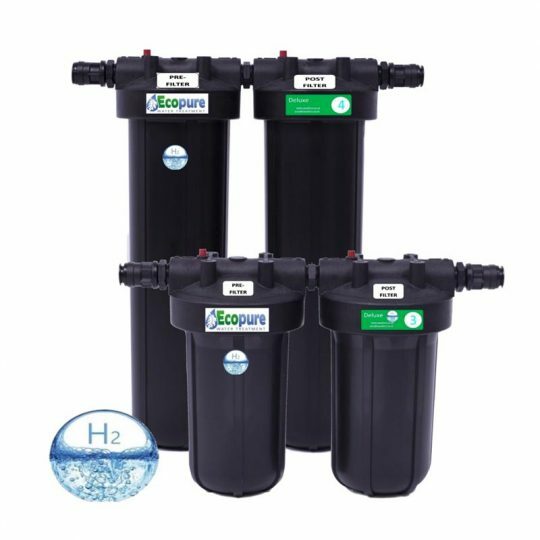 Aquatiere’s Pureau range is suitable for homes with gravity fed or pressurised water systems or combination boilers. 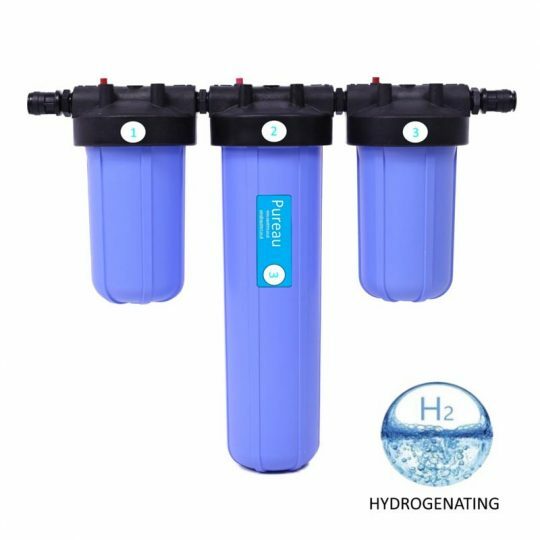 It is also suitable for private water supplies and council mains water supplies. Great Savings & Proper Advice for you! DIMENSIONS: H 470/ W 575/ D 215 (mm). 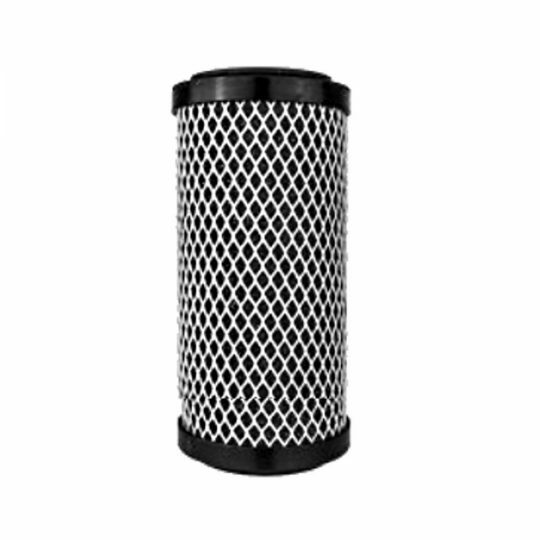 Servicing: Replace 1st filter (water filter cartridge) every year. 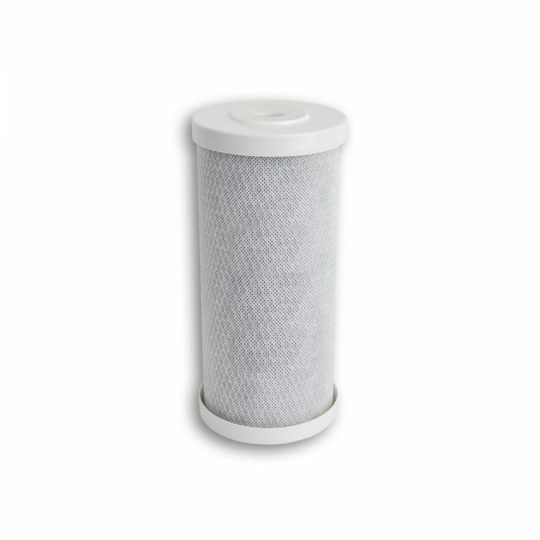 Replace 2nd filter (scale prevention cartridge) every 3 years. 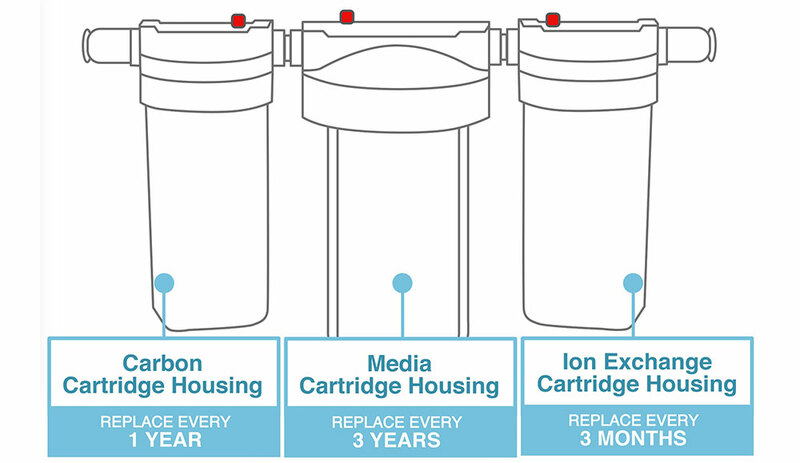 Replace 3nd filter (ION cartridge) every 3 months. 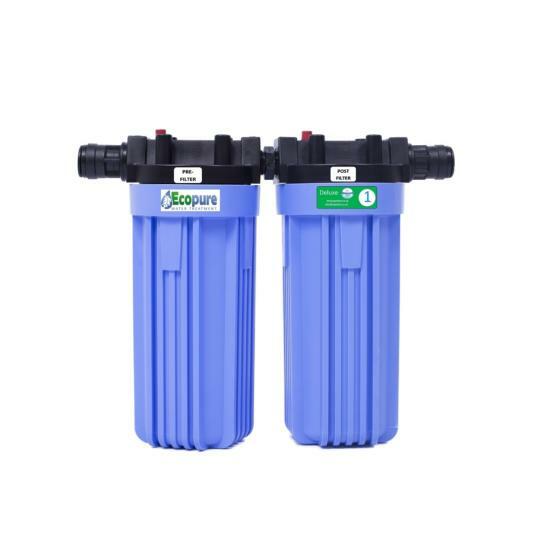 Suitable for 2 bathroom homes where flow rates will not regularly exceed 40 litres/minute . Our Carbon they remove a wide range of different contaminants, including steroid estrogens and many estrogenic substances like trihalomethanes. balances the pH of the water and because the surface of the beads are active, produces far infrared energy to vitalise your body. while retaining enough essential minerals in the water to ensure its great taste and quality for drinking. We installed a duplex Eau 3 into a 5 bathroom water mill conversion in North Yorkshire. Water quality before installing the filter system was dubious at best now water quality is superb both drinking and for bathing with no limescale whatsoever! Makes the clearest ice for martini’s! 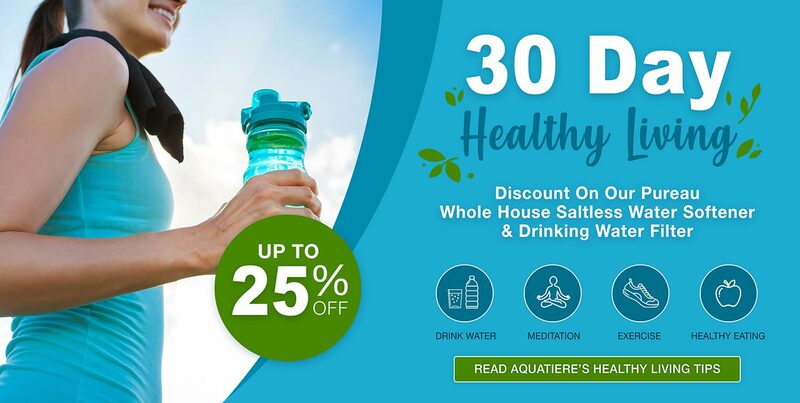 Dear Aquatiere, I installed the Eau 3 around eight months ago and can only say that I am delighted with the positive impact this has had on our home and family. It certainly does what it ‘says on the tin’ so to speak. I have also spoken with your team and again I have been delighted by their product knowledge and friendly support. Keep up the good work.